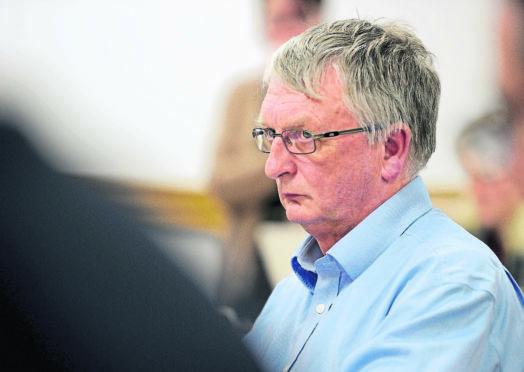 NHS Highland’s board chairman yesterday admitted the bullying scandal which has rocked the health authority had caused victims “pain and sorrow”. Mr Alston and NHS employee/director Adam Palmer wrote a report for yesterday’s board meeting on allegations raised by whistleblowers in September. The report acknowledges incidences of bullying and the impact on all concerned. Last Friday, the Scottish Government announced an independent review into the allegations of a bullying culture at NHS Highland to be conducted by John Sturrock QC. Mr Alston said: “We are lucky to have his skills as an internationally-recognised mediator. The board briefly discussed a draft report on the situation by independent HR consultant Sandy Gallanders. The report recommends engaging with staff to improve the understanding of the extent, nature and distribution of bullying and harassment in the organisation; provide pastoral support for staff, reinforce a positive culture and supporting behaviour, support managers dealing with the problem, and review and amend employment policies and procedures as necessary. Heidi May, board nurse director said: “It’s clear we need to be focused on how we communicate with staff when there has been pain and sorrow within the organisation.